Today’s lesson is from Parshat Chukkat, from Numbers 19-21. we begin with chapter 20. There is a lesson here for every one of us. So pay attention and improve your life through this lesson! First Principle: Beauty is only skin deep, but stupid goes clear to the bone. Many of us, especially in some area of life, will learn the same lesson over and over again, and yet have to learn it again and again. It would be a grave mistake to sit back and cluck our tongues at fickle and immature Israel, because the glorious text of Torah is not just about them: it is about us. We too are people to whom God has had to teach the same lesson again and again, but who seem no better for the effort. If you will think about it, you will discover sins of your own which persist despite every effort and vow to uproot them. It seems clear that we will yet again have to learn the lesson we should have internalized long ago. Second Principle: When a leader is faithfully serving God in the position to which he is called, God will back up his act in a manner which advances His purposes for the people being led. Hear now, you rebels: shall we bring water for you out of this rock?” And Moses lifted up his hand and struck the rock with his staff twice, uand water came out abundantly, and the congregation drank, and their livestock. If you think for a moment what God is up to with the people of Israel, you will find a few reasons for deep concern over what Moses says and does here. God is trying to teach the children of Israel something that no one in their world, except the children of Israel, had ever learned: that the invisible God is able to take care of His people when there are no visible means of support. No idol here. No impressive statue. Nothing but an invisible God with an immutable Law–delivering his people from enslavement to the mightiest kingdom on earth, bringing them forth with signs and wonders, keeping an entire nation alive and moving forward in a barren wilderness. 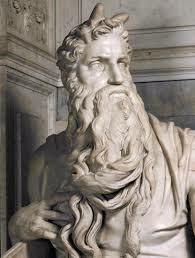 Then Moses completely sabotages this by his words, so that the people will default to what humans so readily believe: that wonder works derive their power from leaders with extraordinary powers. Instead of God bringing the water out of the rock to answer the cry of his people, all of a sudden the spotlight is on Aaron and Moses, who beyond simply speaking to the rock, strikes it twice, and says to the people, “shall we bring water for you out of this rock?” Unless God does something extraordinary, the people will forever more remember that it was Moses and Aaron, and not God himself, who provided water for them to drink in answer to their need and prayer. Moses lost his cool. And it will cost him greatly. Which brings us to our next principle which you may have seen at work in your own life or the lives of others you know. Third Principle – Even great and seasoned leaders have their limits, and it is wise and right not to push them beyond those limits. People seldom give sufficient attention to the demands they place upon their rabbis, ministers, leaders, demands of time, of availability, of emotional reserves. Some people are not only oblivious to these matters, but also have a talent for pushing leaders beyond their limits. Then when and if the leader overreacts, all of a sudden he becomes the issue. No, it is the mistreatment, the expectation of too much that should be borne in mind. Because the people coudln’t be bothered to restrain their whining and complaining, Moses had dire consequences to face. Read on. Read Numbers 20:12-13 – God tells Moses that because of this failure to uphold God as holy [set apart, unique] in this situation that Moses himself would not be the one to lead this people into the Land of promise. This is quite a consequence which should remind all of us of the next principle. Fourth Principle – The higher your calling in service to God, the greater the consequences of leadership failure. Read Numbers 20:14-21 – Here Moses sends a message to the King of Edom, addressing the Edomites as “brothers,” asking that he allow the Israelites to pass through his territory, with the understanding that the Israelites will touch nothing–they just want to traverse the terriotry on the King’s Highway. They are tiwce rebuffed and threatened with attack. Fifth Principle: Sometimes, even when you are in crisis, people will let you down whom you thought you could depend upon. Don’t whine about this as if it is a startling revelation or unique tragedy. This is the way life is. Why do you think the Edomites refused to let Israel pass through despite Israel’s reassurances? Do you encounter similar resistance from people you thought you could count on? Can you imagine some of the reasons interior to themselves why they resist what you request or expect of them? Read Numbers 20:22-29 – Here Moses is instructed to take his older brother Aaron up to the top of Mt Hor, and to strip him of his priestly garments, transferring them to Eleazar his son, who will be the next High Priest. Aaron will die there atop Mt. Hor. This had to be tough for Moses, although we read nothing of his emotions at this time. After all, this was his only brother, and he had just lost his older sister Miriam. Yet, Moses says nothing and does what needed to be done. Sixth Principle: A truly great leader deals with reality as it is, even when reality is distasteful to him. There will be times, and perhaps many times, when a leader will be obliged by his responsibilities to take actions that he would rather avoid, such as barring someone from the congregation who in some manner has warranted expulsion. In some cases these can be close friends of long years’ standing, usually, taking such actions will result in hard feelings among many, with people leaving the congregation as a result. Yet, when one’s responsiblities call for such actions, a true leader will do what he has do do–even though he or she would rather not. Read Numbers 21:1-3- Here we read of the King of Arad who, unlike the King of Edom is not just resistant to the appeals of the Israelites: rather, he actually comes out against them and takes captives. This is a different kind of situation to the one with the Edomites, and the difference bears noting. Seventh Principle: There are people who are not simply your opponents: they are your enemies. It is important to never lose sight of the difference. Not everyone who opposes you is your enemy, and they should not be treated as such. Often you need that opposition, always you can learn from opponents, and you should in fact learn to be curious concerning what they oppose and why. But an enemy is something different: an enemy is out to destroy you in some way, and you should take measures to prevent your being injured by them. Read Numbers 21:4-9 – The Israelites grumble against God and against Moses yet again, impugning their motives, complaining about their provisions for their needs. God at this point chooses to get the people’s attentioin through sending them a tragedy they will realize comes from him–a plague of serpents that are biting and killing the Israelites. Sometimes the only thing people will underatand is suffering and disaster. Eight Principle: The more persistently you resist or test God, the more likely you are to encounter severe measures. Ninth Principle – Just as it was Moses’ job to gather the people to Be’er that God might give them water to drink, so it is the task of the leader whom God chooses to gather people together to receive the benefit which God wishes to bestow. He or she is God’s assistant in this, and therefore must know God, know the people, know the context, and know what God is up to in this leadership situation. Tenth Principle – It is the job of leaders to dig wells, that is, to use their scepters , that is their authority, and their staffs such as are used with sheep, that is, their inflence, to create means whereby the needs of God’s people will be met. God accomplishes his will in the world through leaders who exercise authority and influence over God’s people in pursuit of God’s purposes for the group. I trust all of you found yourselves somewhere in this lesson. I know I did!